Like LOLCats were, internet centuries ago, 8-bit is everywhere and it’s fun. After 1:48, all I can think of is ice-nine. Much the same as 1st video, but with music! 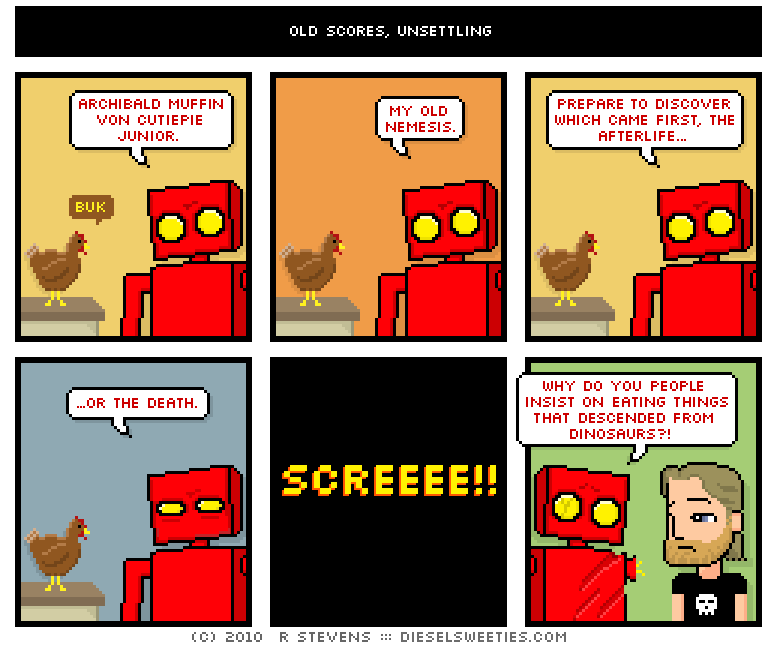 rstevens has been having pixelfun since before everything (this strip is esp. for Sy, the ladies and the cassowary).